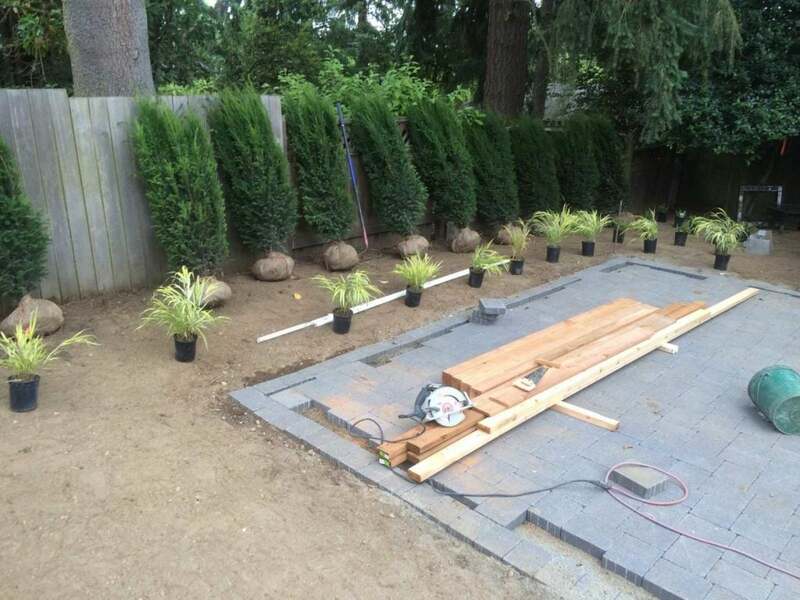 The mason is nearly finished with the patio and Victor, our carpenter, is starting the next stage. 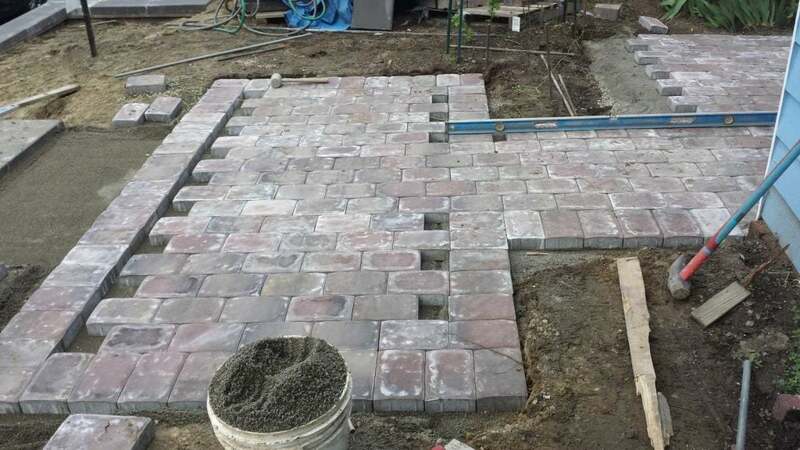 A paver patio in progress. Our craftsmen treat every job as if it is their own.